This weekend I was craving Bengali Food, so I decided not to be lazy and go to this shop in Longsight in Manchester to buy some fresh water fish. 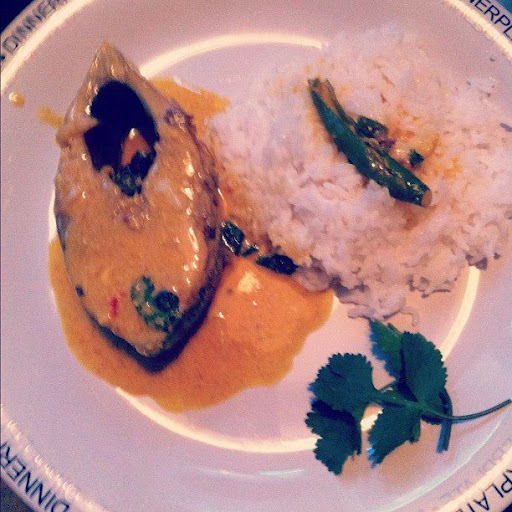 I landed up buying a couple of varieties and one of them being my favorite one, Hilsa or Ilish in Bengali. I bought a whole fish and got the man at the shop to cut it into stakes for me. 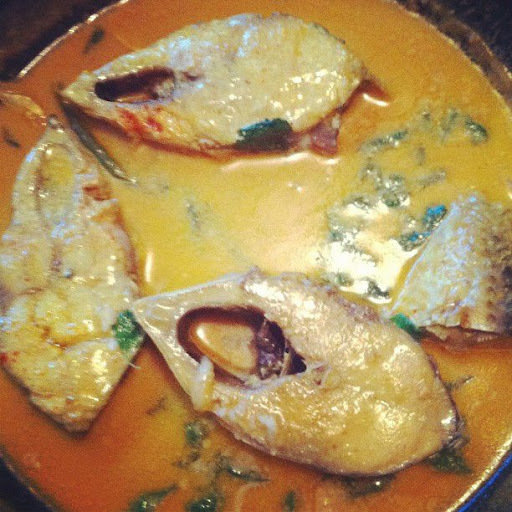 You can make this fish in several ways and it tastes good because the fish itself is very tasty. I decided to make a mustardy curry. Gently slip the fish in the pan and turn in around so that the yogurt and the mustard mixes and creates a smooth gravy. Then add the fresh green chillies and coconut milk and mix it well. Finally add the fresh corriander. Serve it hot with boiled rice. P.S The fish is really soft so make sure when you flip it, you do that carefully and the fish doesnt break!